The Mexicano style of contemporary internal door is extremely popular; this varient comes unfinished and is a twin bi-folding set. 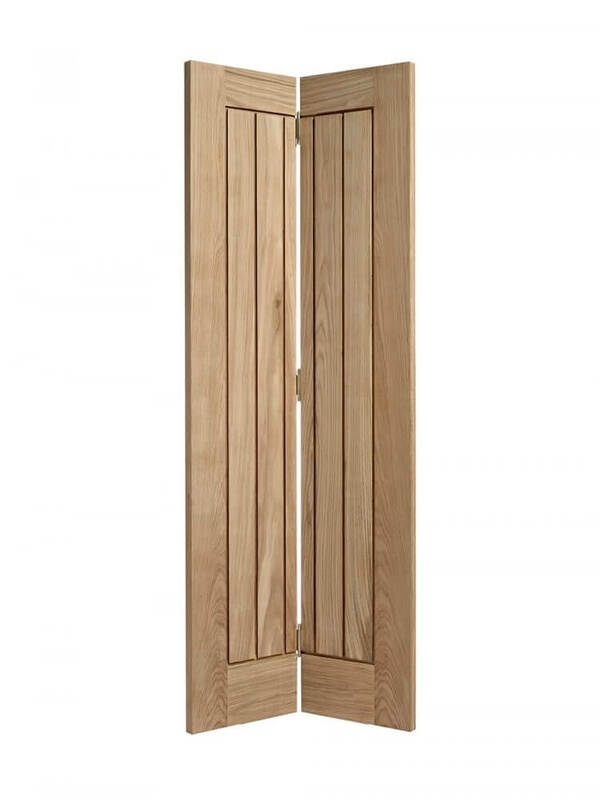 The construction of the door is a particleboard core, 10mm matching timber lippings and faced with an oak veneer. This door has an attractive plank effect appearance which provides a complimentary look and feel to most modern rooms.